Monica Whitehead is a native of Lexington, SC. She earned her nursing degree at Clemson University in 1997. After graduating she worked in Labor and Delivery at Lexington Medical Center. She graduated with honors earning her Master Degrees in Pediatric and Family Medicine in 1999 from the University of South Carolina. She went to work at Lexington Family Practice until October, 2014. She also worked Urgent Care at Lexington Medical Center from 2010 until 2016. 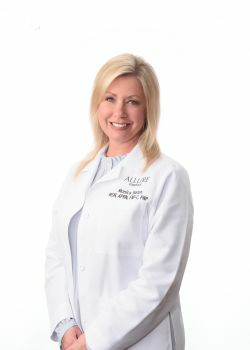 She started with Palmetto Vein & Aesthetic Center in October, 2014 and is a member of the American College of Phlebology.